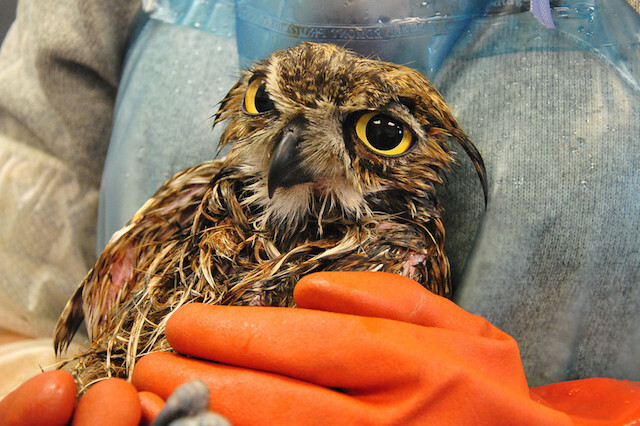 During 2013, we cared for a small number of owls, some brought to us contaminated by petroleum or other substances. 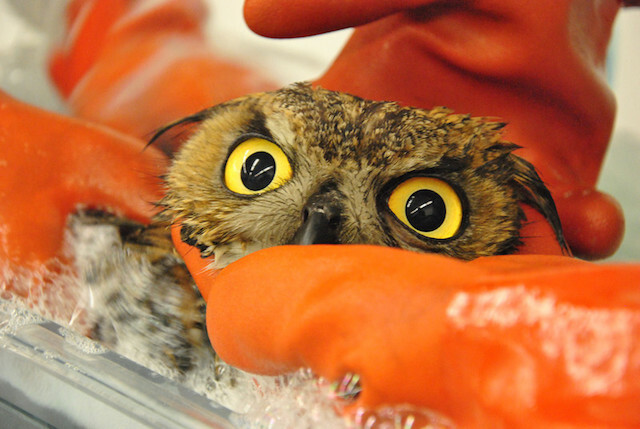 Barn Owls, Western Screech Owls and a Great Horned Owl were all patients last year. 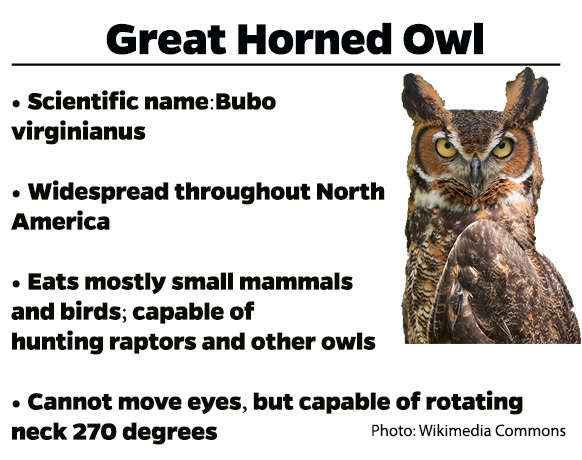 Recently, our Los Angeles center received the first owl of the year — a Great Horned Owl transferred from a partner wildlife organization. 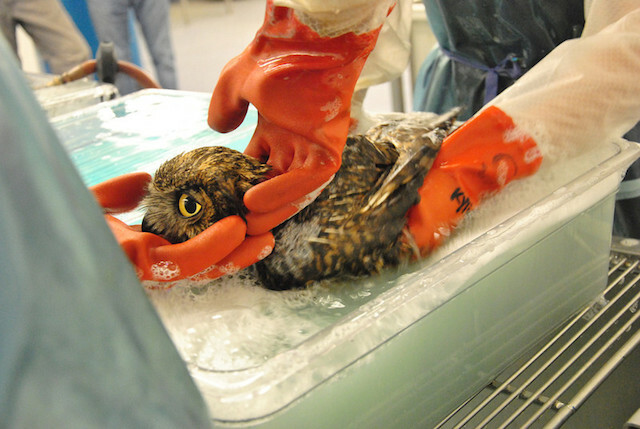 This bird had been captured in the San Gabriel River, contaminated with a clear substance on its chest and under its wings, rehabilitation technician Kelly Berry reports. Our team washed the bird upon arrival and took photos of the process. 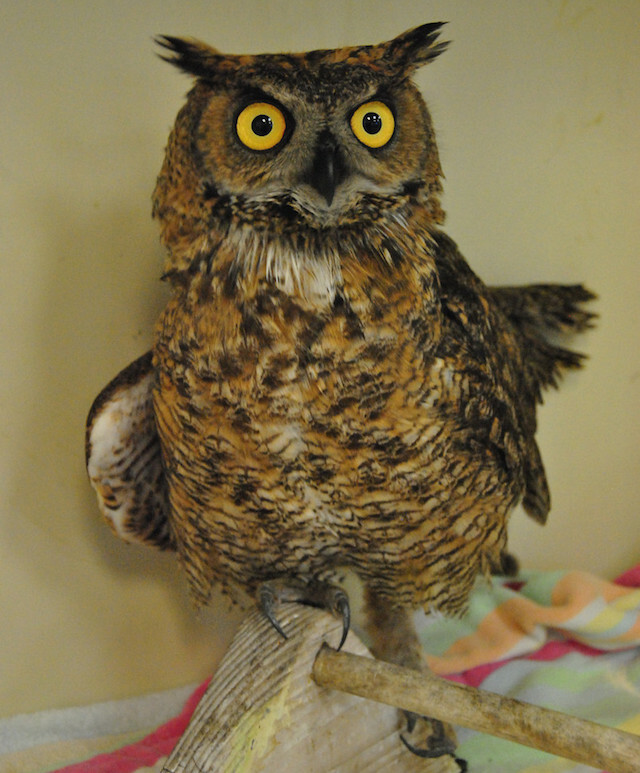 We later transferred the owl to South Bay Wildlife, and we’re pleased to report the bird is living in a large flight aviary and will soon be released back to the San Gabriel River area. We’re also proud to report that we’ve received band reports from owls cared for at our wildlife centers, including this recent sighting of a Burrowing Owl, released in Northern California and seen hundreds of miles north in Idaho. 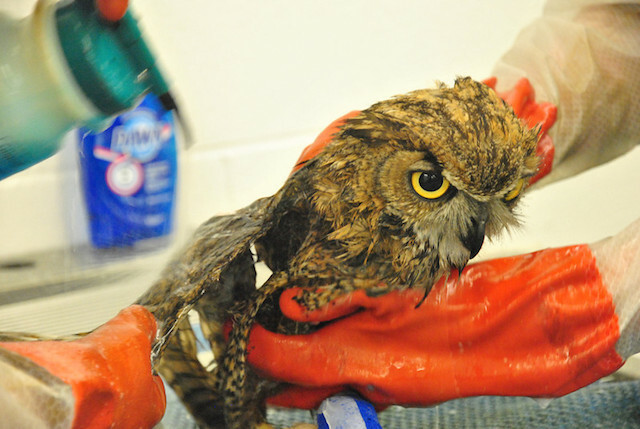 Related: Check out the Dawn Saves Wildlife webpage for more information on oiled wildlife care. This entry was posted on Monday, March 3rd, 2014 at 7:33 pm and is filed under Oiled Wildlife, Photographers in Focus. You can follow any responses to this entry through the RSS 2.0 feed. You can skip to the end and leave a response. Pinging is currently not allowed. Great job humans, keep up saving lives. Thank you for all the amazing work you do! I have a question though, why did you wrap the owl’s talons before washing him? We wrap all raptors’ talons before any wash process. The wash takes from 30 minutes to an hour so there is a possible opportunity for the raptors to use their talons on the handlers. 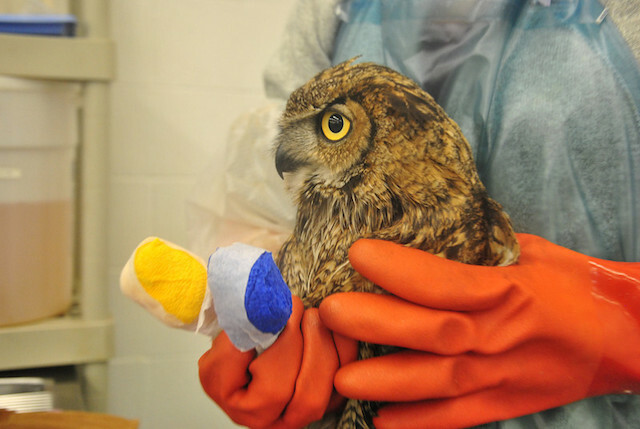 During regular handling procedures “raptor gloves” are donned so their feet are not wrapped. For the washing process the handlers use rubber gloves which do not protect the handlers from their talons. Talons are extremely sharp and the grasping capability is very strong. I love this. I am such an animal lover and that little owl looks pretty happy now. Great job! Congratulations on doing a tedious,fastidious rescue.